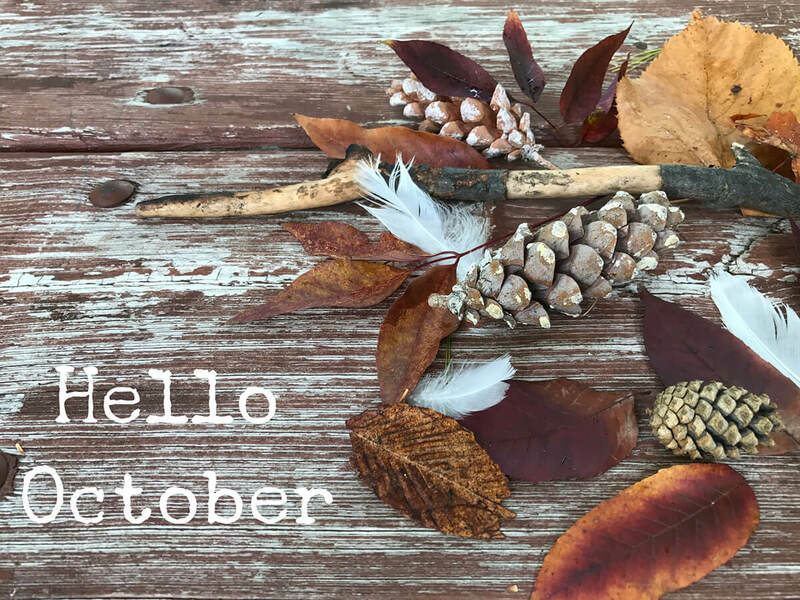 October has long been one of my most favorite months. There is just something about the crisp cool air in autumn that makes you feel alive. It is usually the month we bring out our warm cozy sweaters and boots here in western New York. It is also the season for apple picking, apple festivals, and apple pies. Soon there will be fires burning in the fireplace, cups of hot cocoa, and snuggling under a warm and cozy blanket. My husband and I have just finished up the camping season this past weekend and let me tell you, it got cold at night. We spent time during the day riding our bikes and collecting the autumn leaves and pinecones you see in the photo. The old faded and chippy picnic table made the perfect backdrop to snap a pic and welcome in the new month. The evenings were spent around the campfire. What are some of your favorite autumn traditions? I would love to hear what they are.